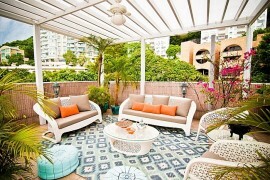 We are constantly looking for ways in which we can create a more uplifting living environment. 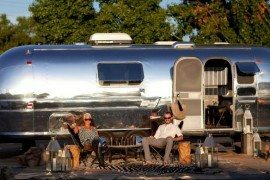 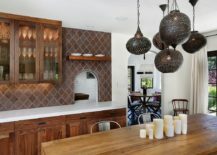 The options are plenty with everything from decor and lighting to color and accessories being used to add a fresh new look to our seemingly jaded homes. 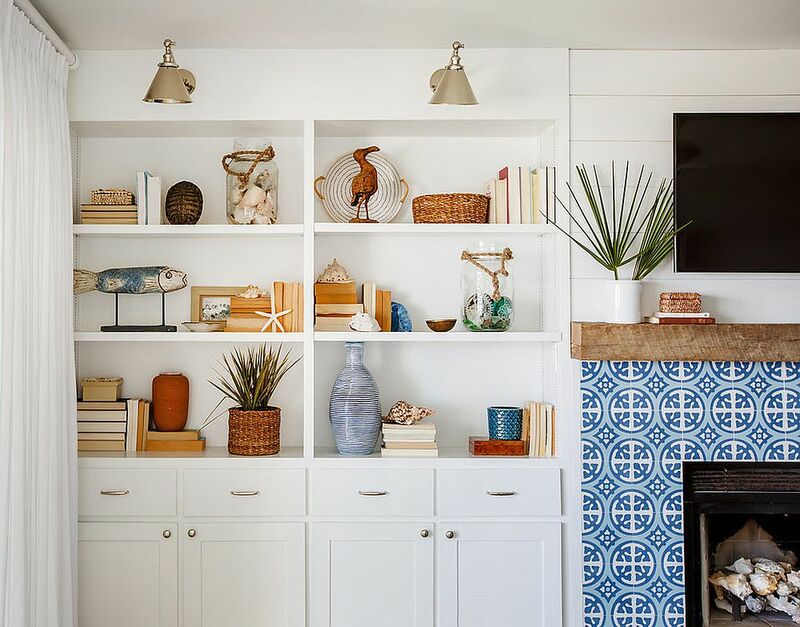 Each season brings with it a new look and an array of trends that you can either embrace fully or just ‘dip your toes in’. 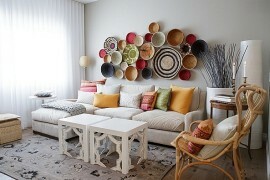 But there are a few unique ways in which you can brighten your home without moving away from existing style and theme. 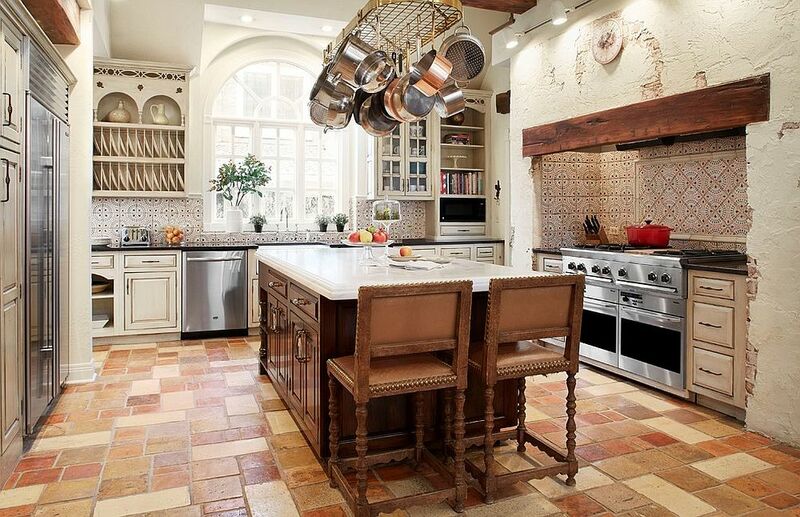 Moroccan style tiles present this perfect opportunity. 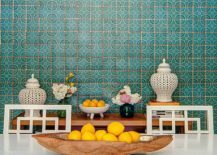 Do not worry about these vibrant tiles not finding a place in your modern home filled with neutral colors and a sophisticated aura. 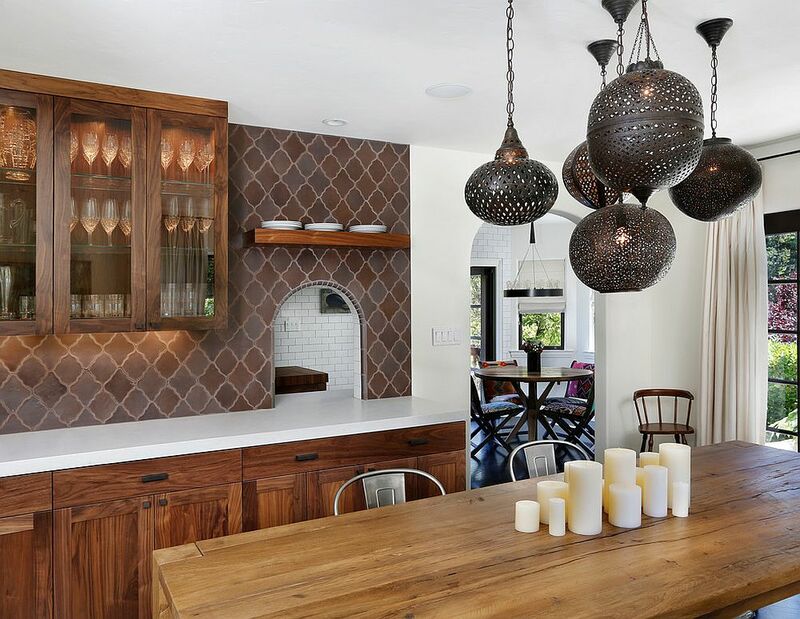 Moroccan style tiles look lovely in contemporary kitchens and dining rooms where they can create an instant focal point without ever trying too hard. 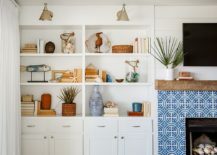 Even if you wish to introduce other colors in the room over time, these tiles areas will come in pretty handy and they can be used to add to the appeal of the accent color. 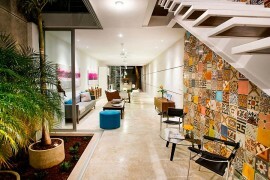 Make sure though that you pick a color that is flexible when it comes to modern styles. 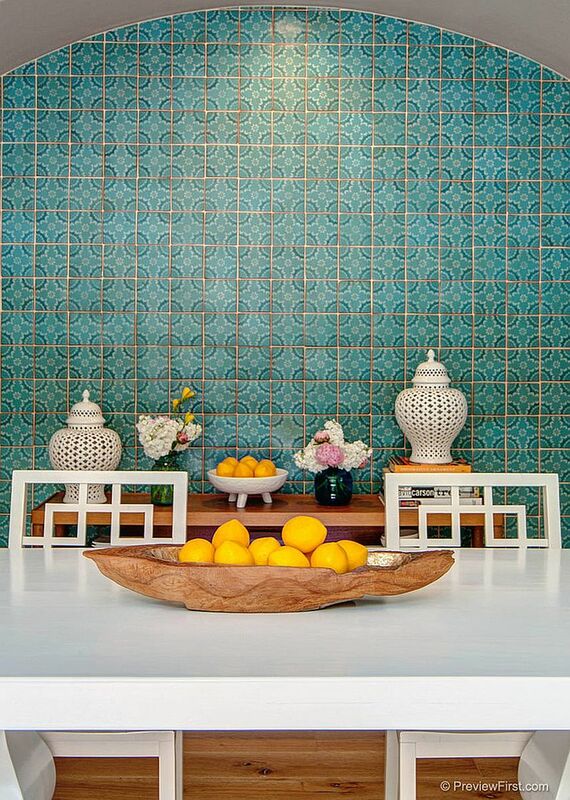 Tiles in blue or even lighter shades of yellow are perfect indeed! 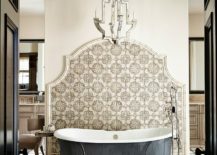 In an all-white of gray setting, a smart section covered with Moroccan tiles can make a big impact indeed. 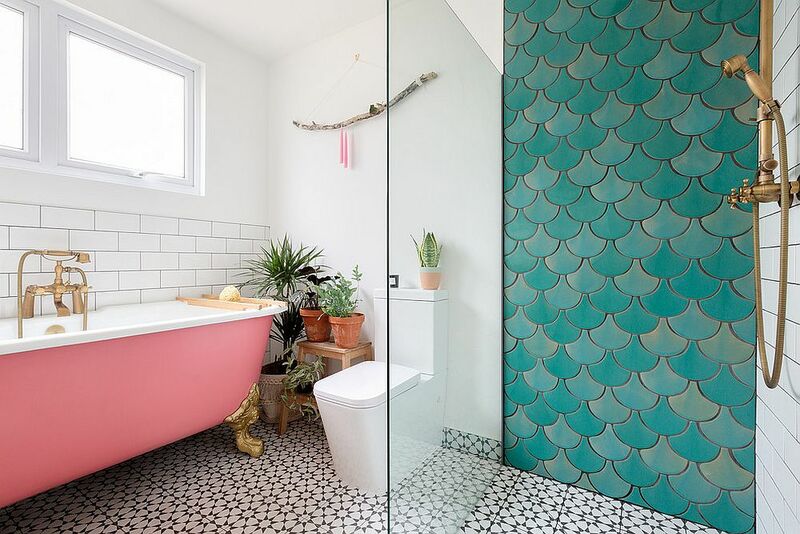 Just take a look at the ideas below and you will realize that these tiles allow you to create a gorgeous focal point without ever forcing you to go over the top. 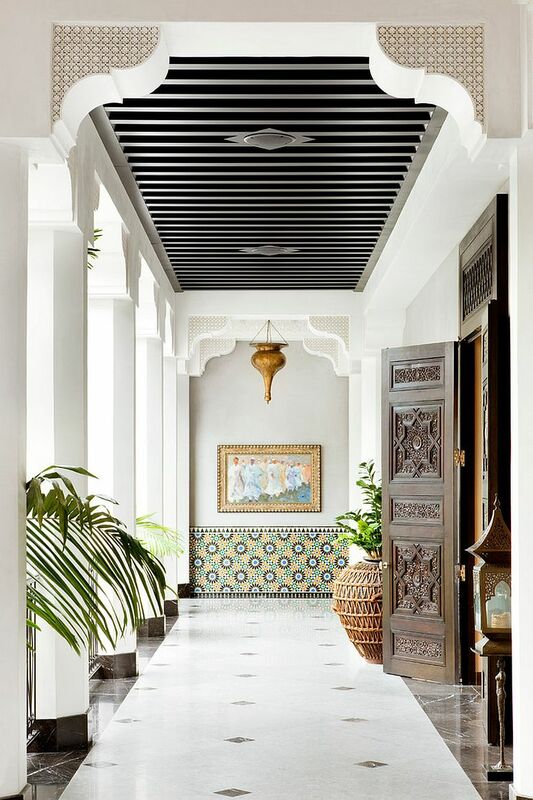 Be it at the end of a long corridor, around the fireplace or even as an improvised window trim, Moroccan styled tiles turn up the brilliance of a room with ease. 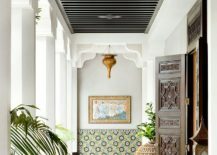 It is hard to move away from Mediterranean style when we are talking about Moroccan tiles and if you are thinking of adding a bit of Mediterranean charm to your modern home, they are a trendy option indeed. 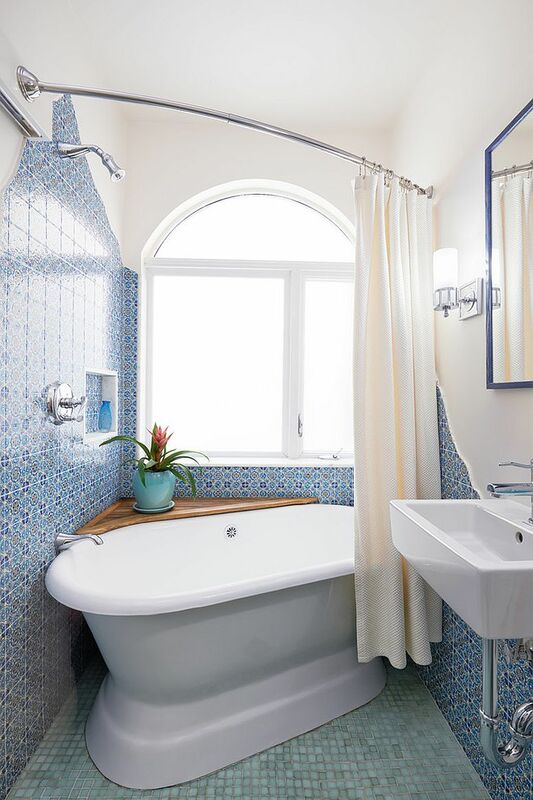 Instead of the more expensive and extensive options like textured walls or a complete paintjob, think about adding a small section of Moroccan tile covered magic to quickly and easily usher in Mediterranean panache. 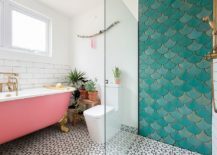 In the spa-styled modern bathroom or even the smart contemporary kitchen, this is an idea that is bound to win hearts and create a whole new ambiance. 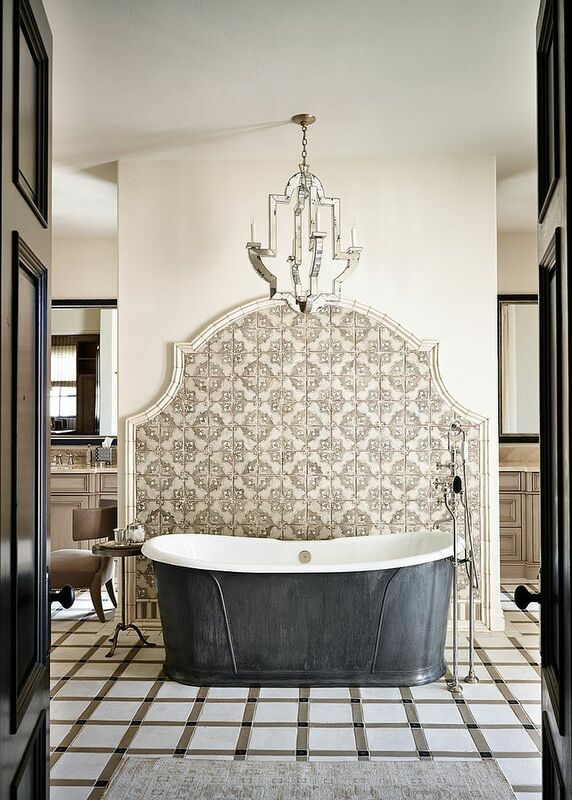 Moroccan style tiles in their more modern avatars can offer much more than just color. 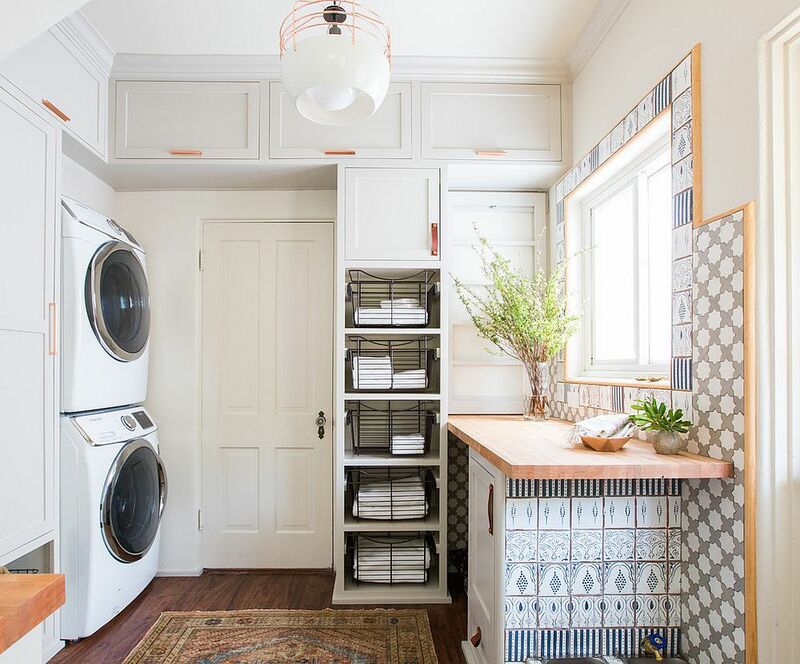 Coming in white, gray and other light hues, they allow you to easily bring pattern indoors without filling the room with any color whatsoever. 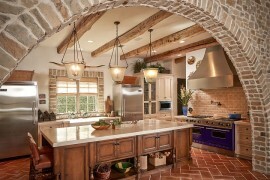 Yes, they are a touch more expensive than your more normal tile options and do tend to demand a bit more care. 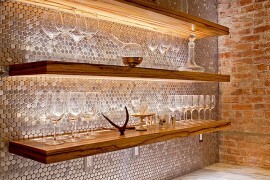 But the extra effort is well worth it all once you see the radiance that they provide. 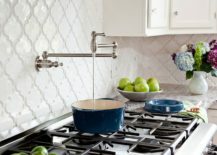 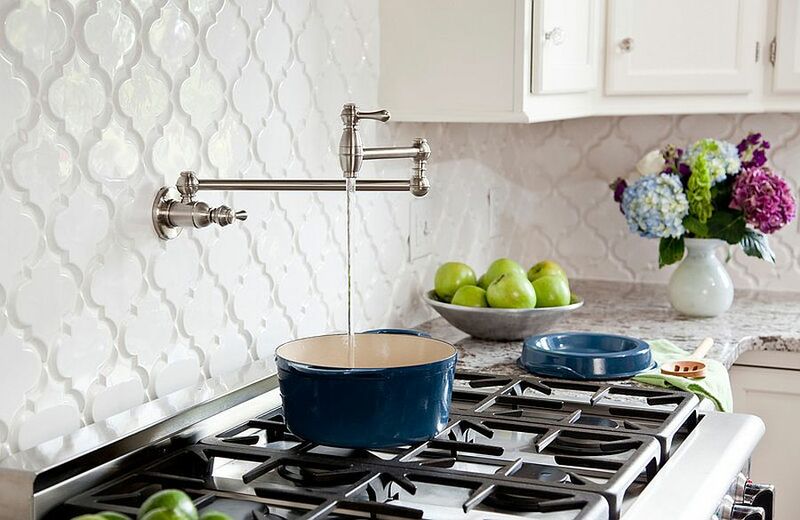 A tiled section need not be limited to a specific area like the backsplash of your kitchen or a small wall in the bedroom. 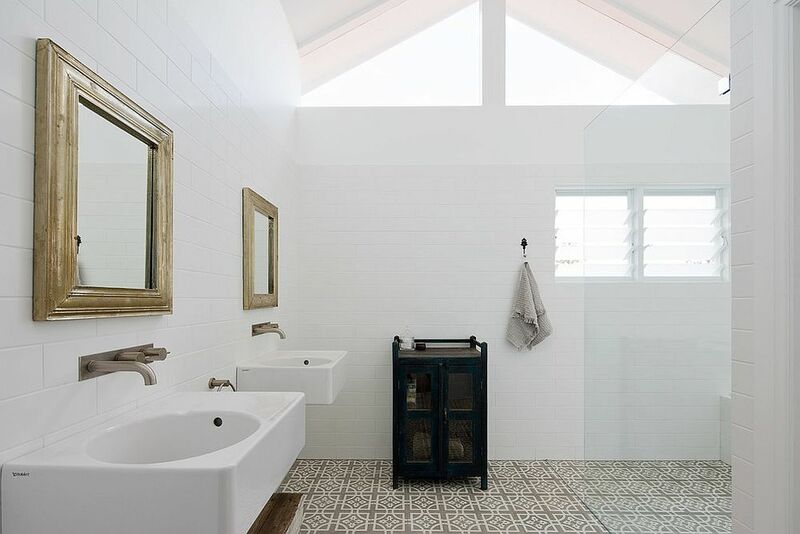 Get creative and use these gorgeous tiles to delineate space in the open plan living area. 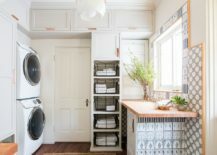 Maybe you can use them for the floor of your all-white bathroom to give it a whole new look or even fashion a smart accent wall in the dining area that is unlike anything else. 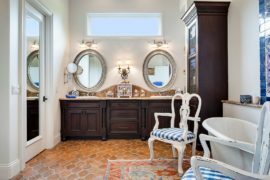 It is time to play with tile!